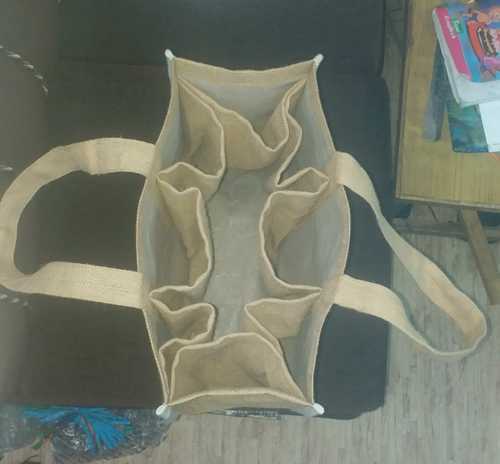 Jute carry bags is the second most important fibers bags after cotton bags due to its versatility. Jute is used chiefly to make cloth for wrapping bales of raw cotton, and to make sacks and coarse cloths. The fibers are also woven into cutains, chairs coverings, carpets, area rugs, hessian cloth, and backing for linoleum. It is our duty to make your life comfortable and luxurious as we are indulged in Manufacturing and Trading wide selection of Handicraft Handbags, Handicraft Tote Bags, Handicraft Pouches, Handicraft Sling Bags etc.